The most awaited movie of South Indian Cinema, 2.0 starring Rajanikanth, Amy Jackson and Akshay Kumar, directed by Shankar is releasing on 29th of November. This is not a new thing that you don’t know but we all wanted to watch the extended trailer of the film than just the teaser. Shankar has worked hard on the project for more than two years and he is now ready show us another glimpse of the Magnum Opus. He made a huge film with US $75 Million budget massive for any Indian film and in complete 3D format. For this movie, several theatres are getting 3D equipped in Tamil Nadu and across India several exhibitors are giving special sactions for theatres to be upgraded with new age 3D technique and sound system. The trailer of the film will release on 3rd of November and AR Rahman has completed his BG score work for the film and trailers it seems. Already songs have been released last Diwali and movie got delayed several times dhe to VFX work. Lyca Productions is producing the movie and they are expecting to score a biggest blockbuster in Indian Cinema. 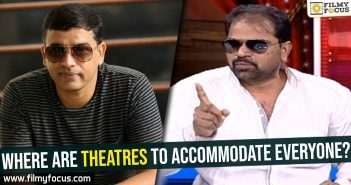 Where are theatres to accommodate everyone? Petta changes hands in Telugu!